"Jump into a world full of awesome tank battles in World of Tanks!" Whether you're a tank games lover or you just like war games, you are going to get a kick out of this gem. 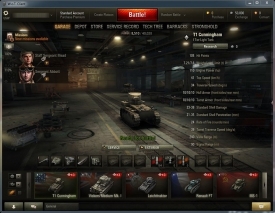 World of Tanks (WoT) is a free to play tank battle game in which you can battle using all kinds of tanks of different sizes against other people also in tanks. An online multiplayer tank vs tank video game for the PC that takes you on war adventures that have you battle against other people in different tanks. These tanks can be different or the same, and are all armored differently, have different weapons, and speeds that are specific to the tank that you are using. At the start of each battle, you are placed on a random map based on the game mode that you are playing. You have control over the tank's movement, weapons, and are able to communicate to the other players by typing in the game or by using voice chat. Some of the game modes are simply a deathmatch, but others are tactical style that you must achieve an objective in order to win the game. You must work together with your teammates in order to win the game, unless you are a lone wolf. 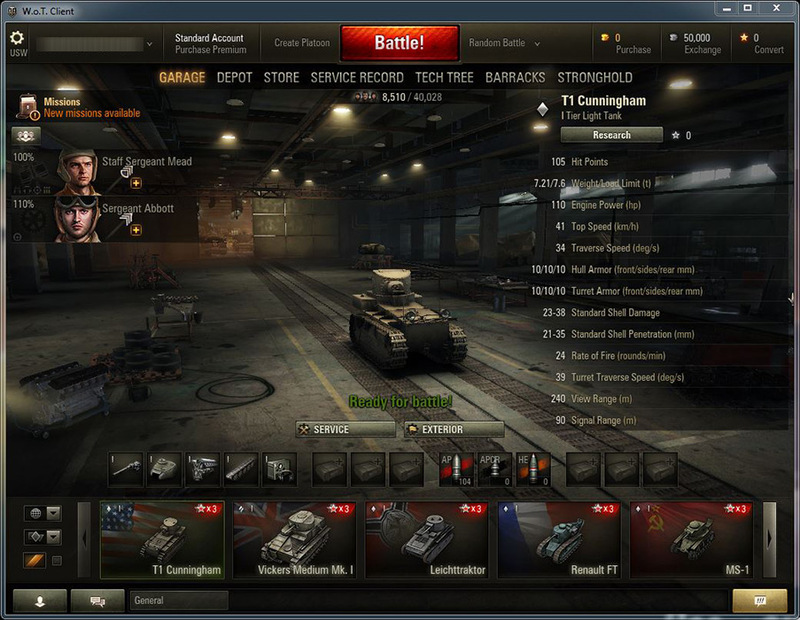 There are quite a few game modes to choose from in World of Tanks. These are random battles, team training battles, tank company battles, team battles, and clan battles (pre-made team). You are able to choose what game mode you prefer to play before you enter the game, and based on that you are to follow the objectives of the game mode and work with your teammates in order to achieve a victory. Check out WoT today by downloading it right here by clicking on the download link above!